A large Fruit baskets neo-Gothic style with a large byzantine base very decorated. 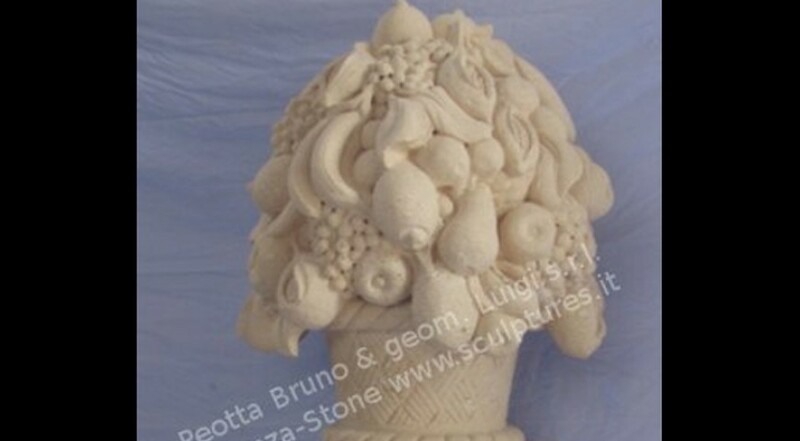 A lot of fruits decorations, on a round base with basket decoration details. This hand carved finial fruits basket with relative base can be used as a decorative garden ornament, on balustrade or terraces. Neo-Gothic style. Dimensions: Basket Height 35 1/2" x Diameter 27 1/2"; Base Height 18"